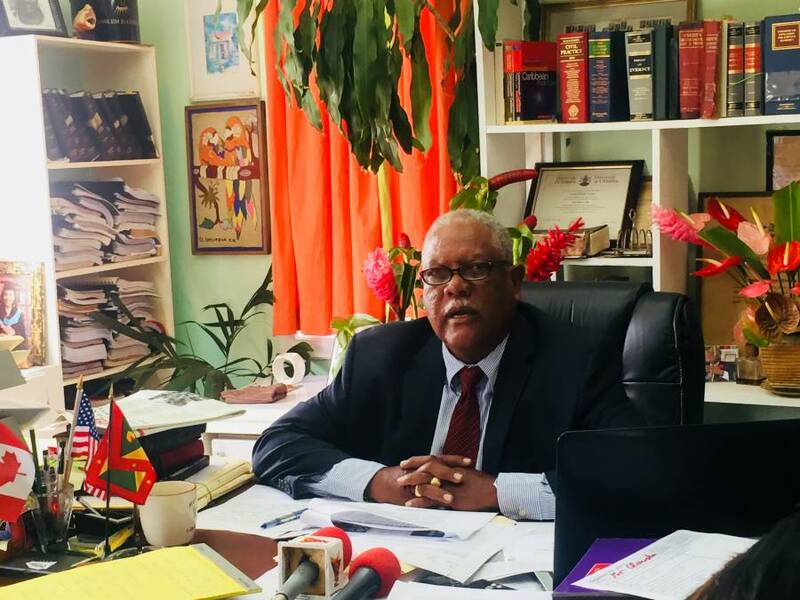 Attorney-at-Law Anselm Clouden continues to lobby for legislation for the fisherfolk of Grenada, Carriacou and Petite Martinique to be able to fish within the State’s waters. At a recent press conference, he said lack of access for fishermen to manage their livelihood is a present situation. He said Carriacou fishermen still cast their nets off [privately owned] Isle de Ronde and “catch a lot of stuff,” but he doesn’t think they can do that off [privately owned] Calivigny Island, which traditionally, they had been able to do. He added that Grenada is a signatory to the United Nations Convention on the Law of the Sea which regulates the juridical status of coastal states. The convention entered into force on 16 November 1994 and governs all aspects of ocean space, such as delimitation, environmental control, marine scientific research, economic and commercial activities, transfer of technology and the settlement of disputes relating to ocean matters. According to Clouden, International Maritime Law states that the beaches and the territorial waters are within the state’s jurisdiction. The State of Grenada comprises Grenada island, its dependencies Carriacou and Petite Martinique, and several Grenadines including Calivigny Island.